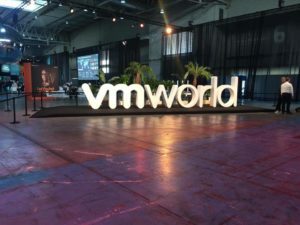 Welcome to notgeeky.com and my road through the world of virtualization. July 3, 2018 by Nigel Hickey 0 comments on "vSphere Upgrade Series Part 1: Preparing to Upgrade"
Today I am excited to kick off the vSphere Upgrade Blog Series. This vSphere Upgrade Series will cover the upgrades of each piece of the vSphere environment as they’re upgraded, and in the proper sequence. This blog series will begin with Preparing to Upgrade. After this post, we will continue with Upgrading vCenter Server, then move to Upgrading vSphere Hosts followed by VMware Tools & Compatibility, Storage, and Networking. For the vSphere Upgrade Blog Series, I will be working with a vSphere Lab environment that is running on vSphere 6.0 Update 3d and will be upgraded to vSphere 6.7. The vCenter Server is deployed as embedded so there are no external PSCs to upgrade. Note that vSphere 6.0 Update 3 was a major release as compared to the version I am running, vSphere 6.0 Update 3d which is a full patch for the vCenter Server Appliance 6.0 to the major release that includes bug and security fixes. Consider this a minor release and keep in mind that many vSphere minor releases are available for each major version. Upgrading vCenter Server should be the first step you take during a vSphere Upgrade. If the vCenter Server is deployed in an external topology with a Platform Services Controller (PSC), then all PSCs within the same SSO domain must be upgraded first before moving to the vCenter Server. 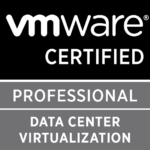 After the vCenter Server upgrade would be the vSphere ESXi hosts, followed by VMware Tools & VM Compatibility (hardware version), then Storage (VMFS), and last is Networking (vDS). In the image below you will see that I call out vSphere Update Manager (VUM) also in the same step as the vCenter Sever. This is done because during this Upgrade, I will be able to migrate my VUM Baselines into the new 6.7 VCSA and retire my old VUM server. As with every upgrade comes proper planning, gathering requirements, and understanding compatibility & prerequisites. The first stop on your Upgrade Journey should always be the VMware Product Interoperability Matrices to review how other VMware products are compatible with the upgraded vSphere version desired as well as to review supported Upgrade Paths to vSphere 6.7. We begin by verifying the currently installed versions have an upgrade path to the desired version of vSphere. The target vSphere environment we are upgrading is running vSphere 6.0; Build 7462485 (Update 3d). Once the version of the target is verified we move to the VMware Product Interoperability Matrix. Below is a screenshot of the Upgrade Path for vCenter Server from the VMware Product Interoperability Matrix. The vCenter Server that I will be upgrading is running on version 6.0 Update 3 so we can see from the matrix that an upgrade to vCenter Server 6.7 is supported. Please also review my Upgrade Considerations for vSphere 6.7 post for more details prior to upgrading. If you have other VMware products that interact with vCenter Server such as Site Recovery Manager (SRM), Horizon View Composer, or NSX, please review the Release Notes for vCenter Server 6.7 as well as the VMware Product Interoperability Matrices. Once Interoperability and Compatibility are reviewed and understood, we can move to our list of Prerequisites for the Upgrade. NOTE: Upgrade and Migration paths from vCenter Server 6.5 Update 2 to vCenter Server 6.7 are not supported. When upgrading or migrating to the VCSA, it is important to understand that a new VCSA virtual machine is deployed, then Inventory & Configuration data is copied from the source to the destination VCSA as a second step. This holds true if you have a Windows vCenter Server or VCSA. Because of this, understanding the source VCSA information as well as having a temporary IP address to deploy the new VCSA to is key. DRS should be disabled so that your vCenter Server does not move hosts during the upgrade. You can easily do this by Right clicking on the Cluster, then choose Settings to view the DRS/HA options. Highlight “vSphere DRS” and click the Edit button on the right side of your screen to open the configuration window. Uncheck the box “Turn ON vSphere DRS” to disable DRS. Click OK to save this change. NOTE: You can also quickly perform this action via PowerCLI with the ‘Set-Cluster’ cmdlet. Next we will prepare our VUM server for migration to the VCSA 6.7 appliance. The needed files are located on the VCSA installation ISO. For ease, I have copied the contents of the Migration-Assistant folder to the VUM server where we will run the Migration Assistant from. 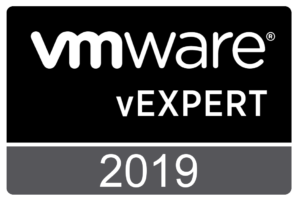 At this point it is time to start the upgrade of the vCenter Server which will also collect the VUM information and migrate it into the new 6.7 VCSA. These steps will follow in the next post in the vSphere Upgrade Series; Upgrading vCenter Server. We covered the prep work that must be done prior to beginning a vSphere Upgrade. We reviewed the vSphere environment that will be upgraded, understood the proper vSphere Upgrade order by component, reviewed the VMware Product Interoperability Matrices for version compatibility and collected our perquisite information. Next, began upgrade work by running the Migration Assistant on the VUM server to allow it to migrate Baselines to the new target 6.7 VCSA. In the next post we will begin our vCenter Server Upgrade from 6.0 to a 6.7 vCenter Server Appliance (VCSA). Please do not hesitate to post questions in the comments section of this blog or reach out to me directly via Twitter @vCenterNerd. 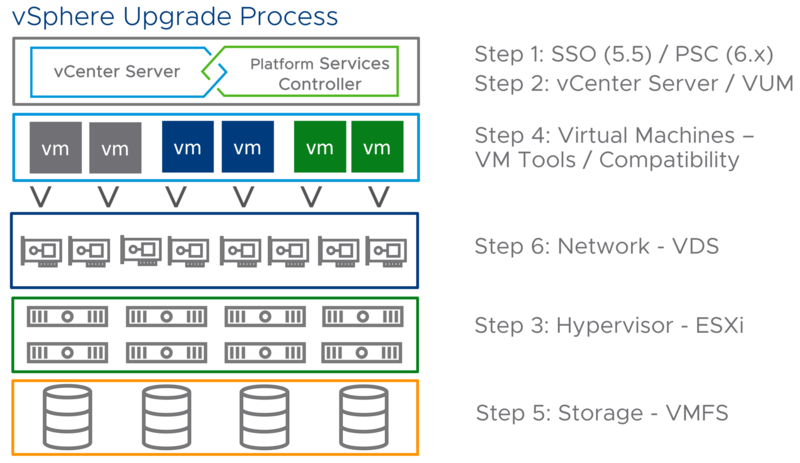 The post vSphere Upgrade Series Part 1: Preparing to Upgrade appeared first on VMware vSphere Blog. Copyright © 2019 nOt gEEkY. Powered by WordPress and Themelia.